Who needs cotton candy when you can have a Candy Blizzard? 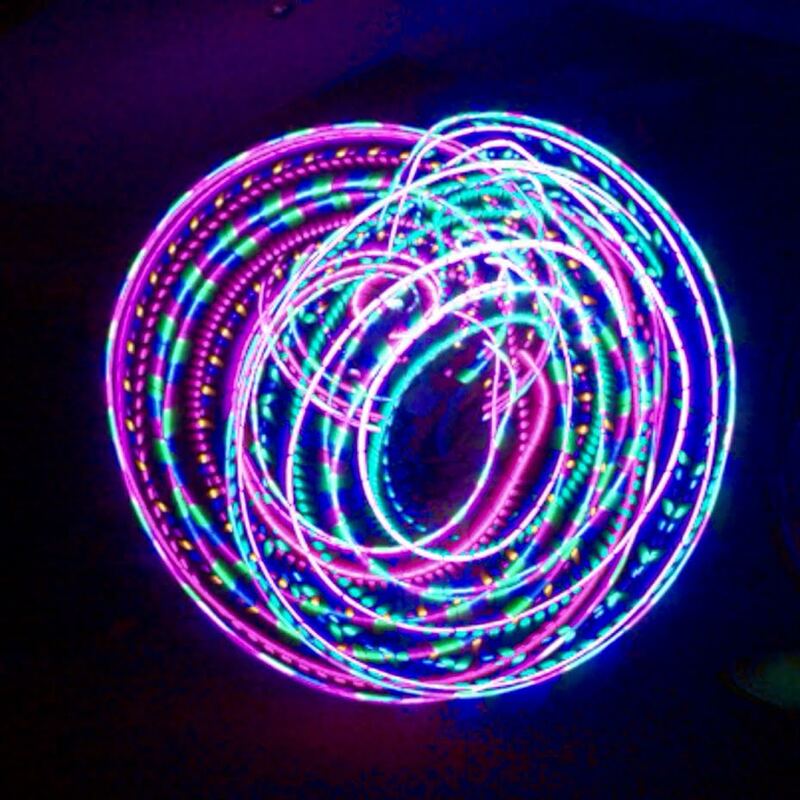 This brand new set features two beautiful LED hula hoops constructed with lightweight 5/8″ polypro or HDPE. You can get any size from small minis up to larger doubles for the same price! All of our mini/double hoops come with your choice of grip tape or sanding for free, as well as two batteries and double charger! For grip tape, just choose your style and color. 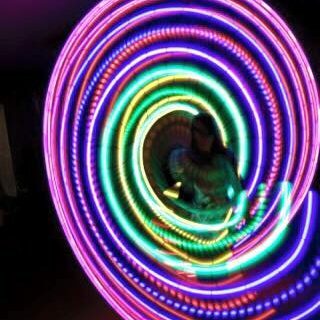 Grip tape helps keep the hoop from sliding so you can spin all night! It will not impact the brightness of your hoop. 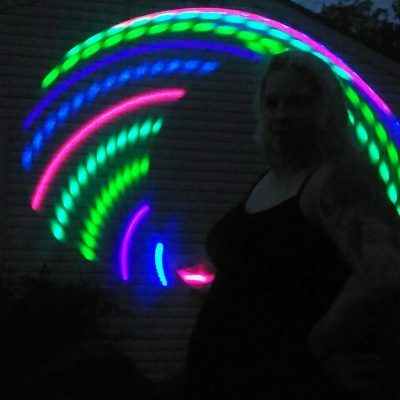 Don’t forget extra batteries so you can glow all night. If you need help with sizing, scroll down. 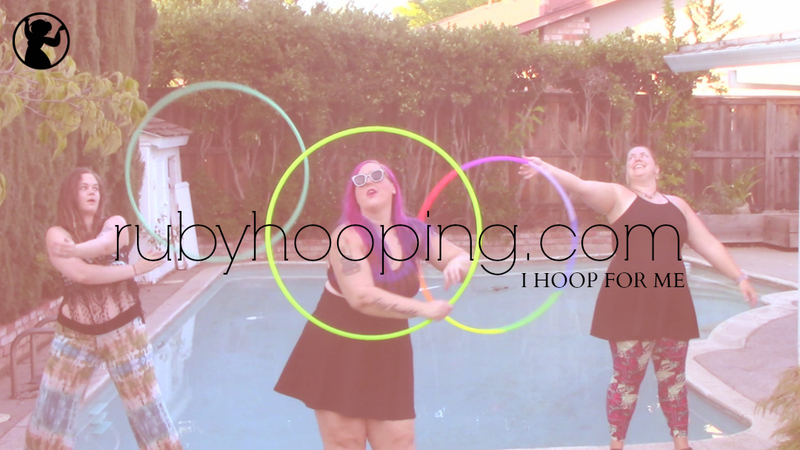 Minis/Doubles sizes are a bit more based on personal preference than a single hoop is, since just about anyone can use any size, regardless of your body type. If you are more interested in small, techy moves, go for minis (16″-24″). If you are more interested in a slow flow or on-body doubles work, go for larger doubles (up to 33″). If you are a beginner, and/or want the most durable tubing possible, choose HDPE tubing. Please keep in mind these are just guidelines. If you are an intermediate or expert hooper, you probably know what personally works best for you, so please trust your own judgment. 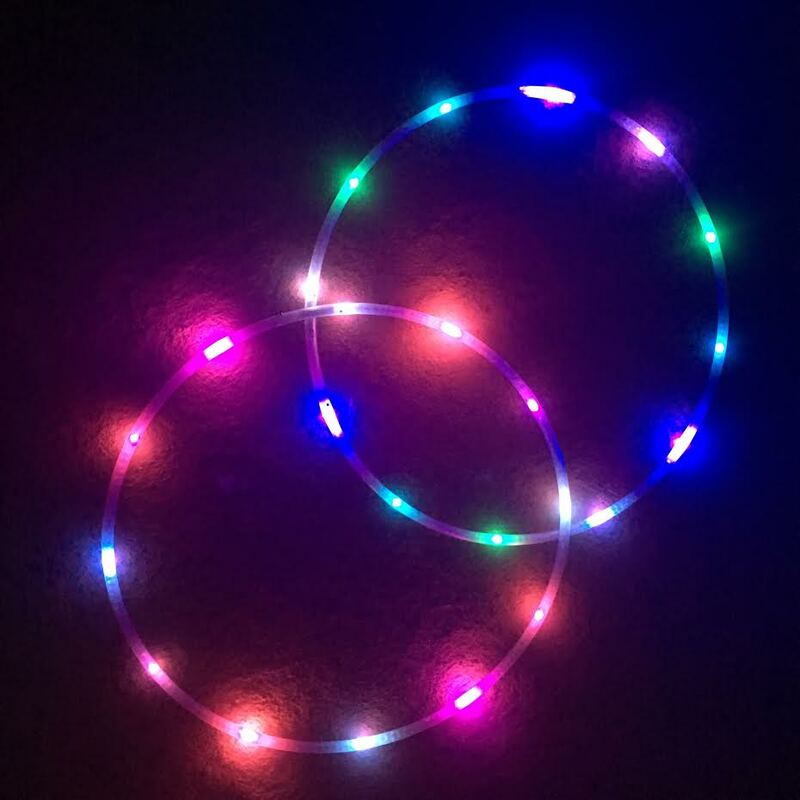 Materials: All of our Candy Blizzard LED hula hoops are hand-made with 12 super bright LEDs per hoop and 5/8″ OD milky white HDPE or clear polypro tubing. Construction: Our hoops are carefully constructed for durability and to eliminate rattling. They also feature an inside connection with push button with off switch. No bulky outer cuff on our babies! Also, the batteries we use are quite light and we have carefully weighted our hoops to ensure balance. 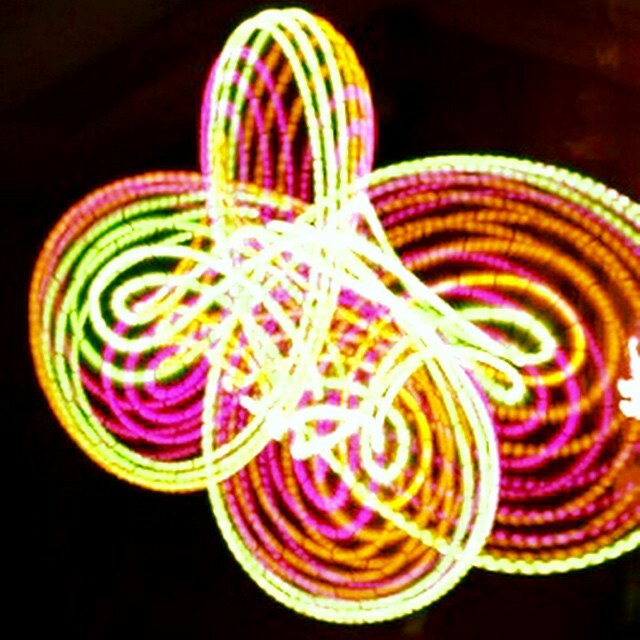 Battery Power: Each LED hula hoop operates on a single lithium ion rechargeable battery. 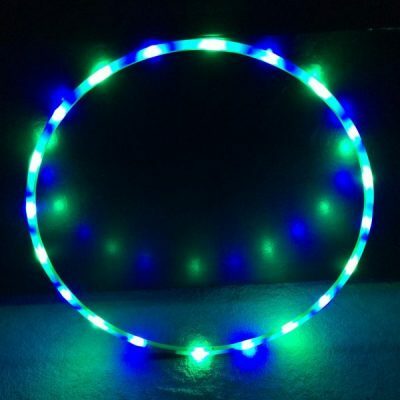 Your minis hoop purchase includes 2 batteries and a dual slot charger. We recommend that you purchase extra batteries so you can glow all night! 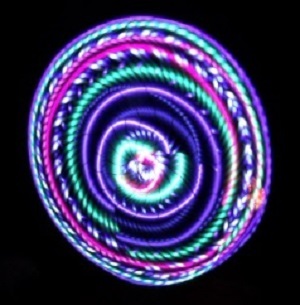 One fully charged battery will last for approximately 2-4 hours, depending on your hoop. Click here to purchase extra batteries! 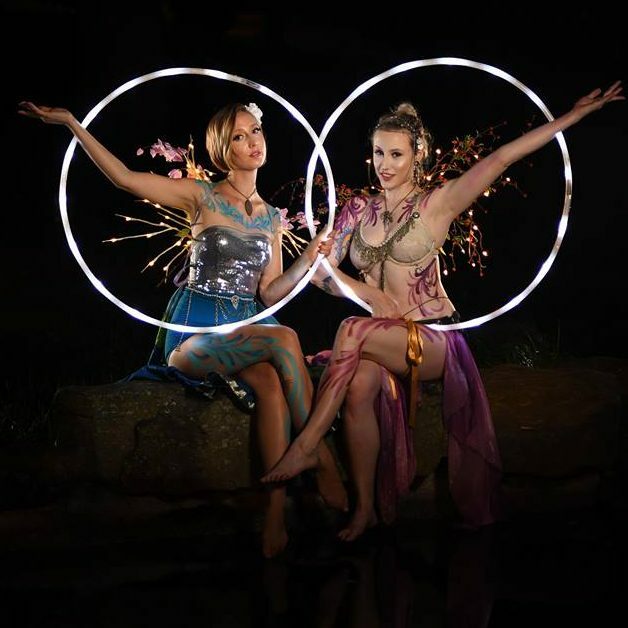 Weight: While we can only estimate because each hoop is different depending on size, these hoops generally weigh between 8 and 10 ounces. Warranty: We have extensively tested our hoops for durability, but we also include a one year warranty which covers the electronic aspects of your hoop with normal use. You will receive an information sheet with your hoop with care instructions to ensure it has a long life. 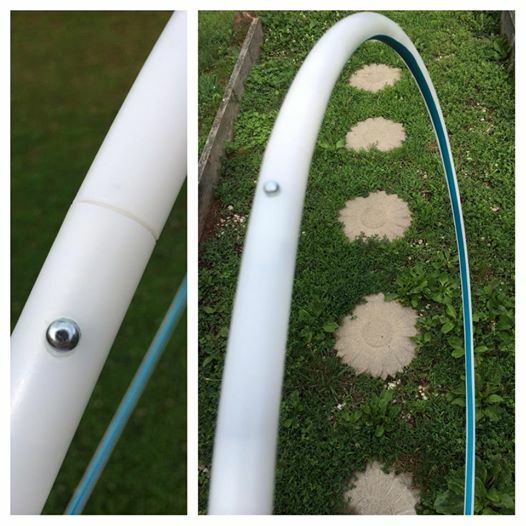 Never allow your hoop to get wet or get sand or grit around the connection! We usually put a piece of tape over the hoop’s connection point to seal it closed when hooping on the beach. Turnaround & Shipping Time: Our turnover times are always posted on the front page of our website, and it usually does not exceed 3 weeks. Shipping time is usually 2 days via USPS Priority Mail. If you would like to check the status of your order, you can message us on Facebook at any time and we will usually respond within 12 hours. 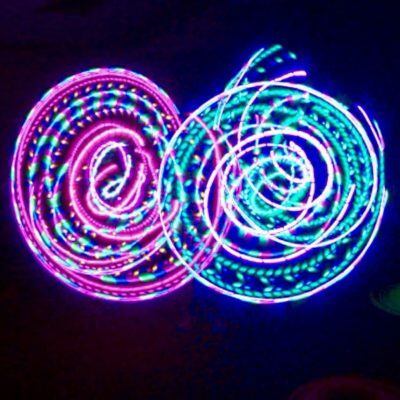 Check out these accessories for your new mini/double LED hula hoops! 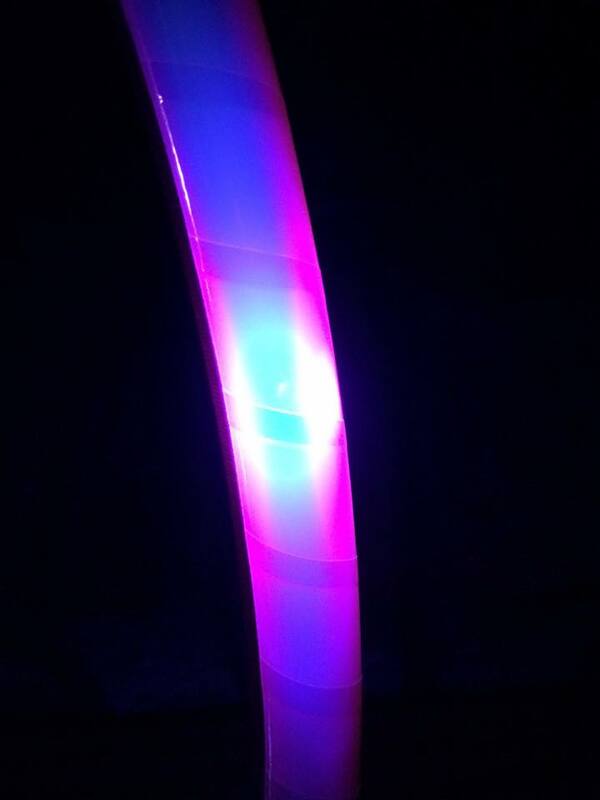 To add iridescent, translucent tape to your hoop which create hypnotizing color morph light trails, click here! 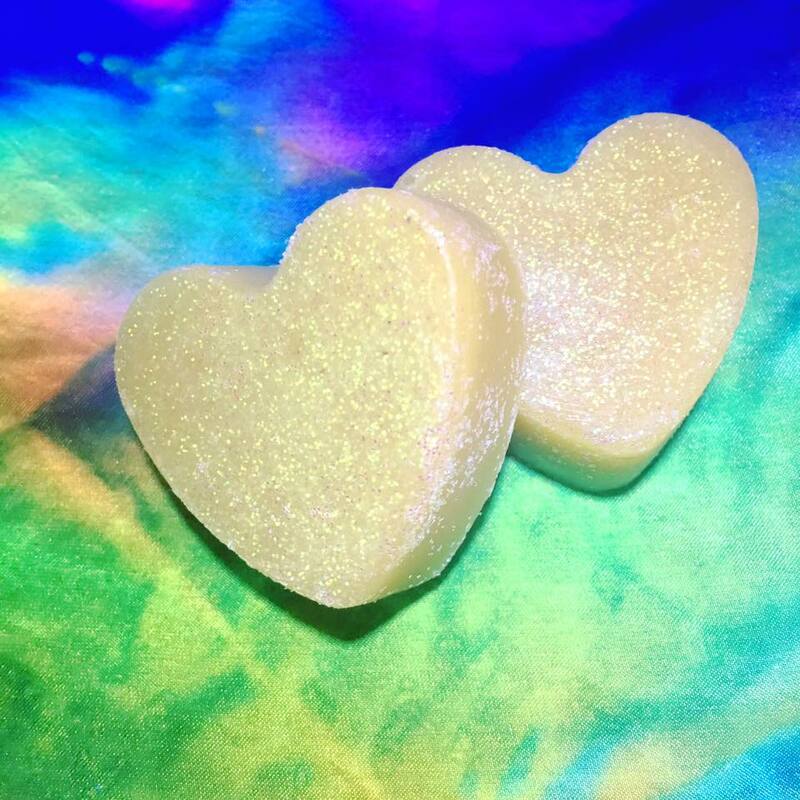 To add ultra grippy, deliciously scented hoop wax to your cart, click here! 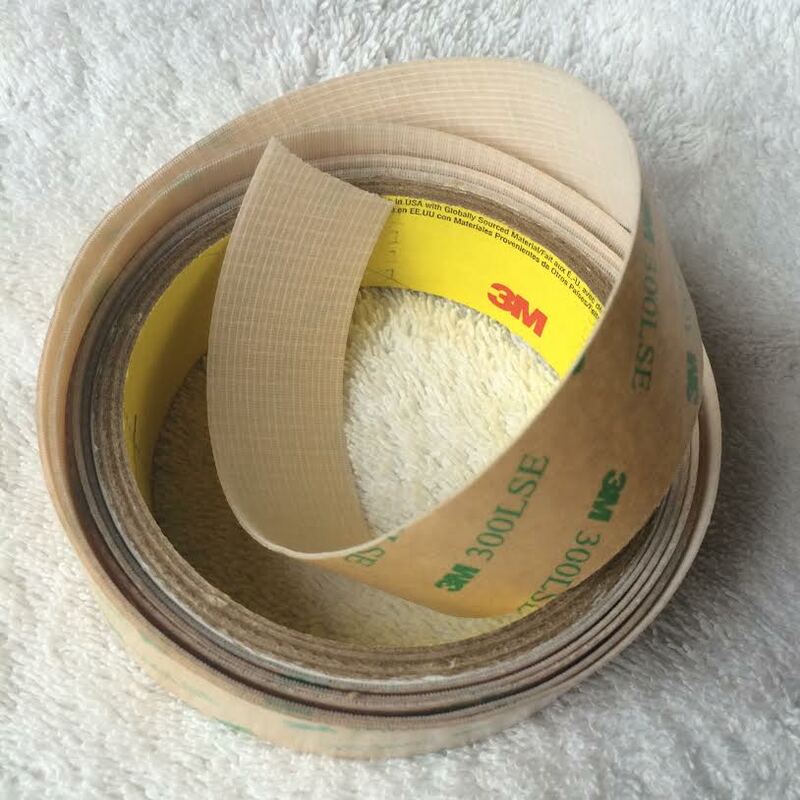 For absolute maximum grip and a little extra weight, click here to try 3m super grip instead.